As I said in the last post - the point of the trip was to visit my uncle which we did. The bonus was to get the Boobies. But our other goal was to get Barbara up to speed on her Southern California bird list. She hasn't birded this area before so she was itching to get as many new birds as possible - and she did. 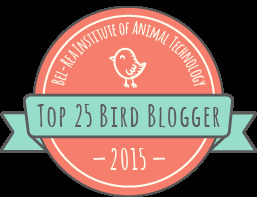 She got over 20 new species even though it isn't the "birdiest" time of year out there. Here are some of Barbara's new birds. Other birds from the boat trip include this adult Heerman's Gull which was a target bird for me. I don't know how I missed this species on previous trips. 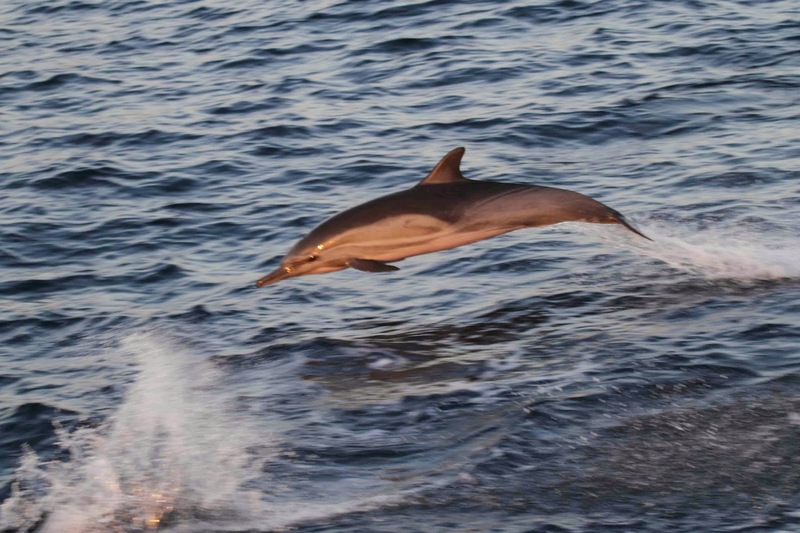 I was so excited to see the first one that I took a photo of it waaaaaaay out in the harbor just so that I had something on record. Little did I know that we would see hundreds of them during our trip. 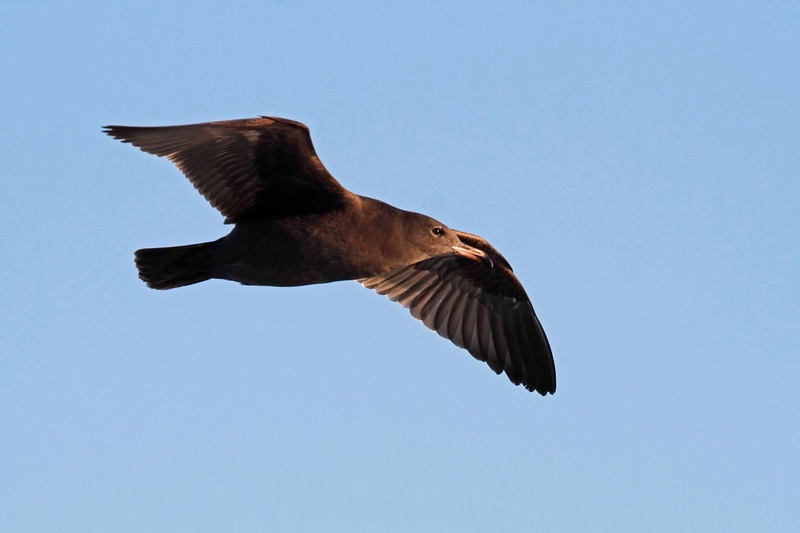 This is the only gull that has gray body to go along with the wings. 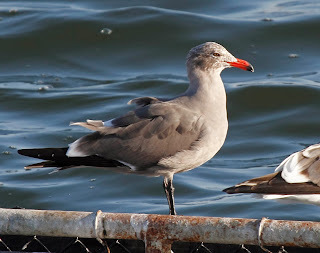 Here is another Heerman's Gull. Juveniles start out really dark gray, almost black which is pretty handsome. 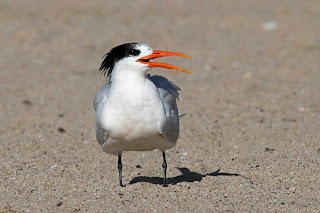 Elegant terns were also present along the coast. These are pretty interesting looking with their black crest and long orange bill. 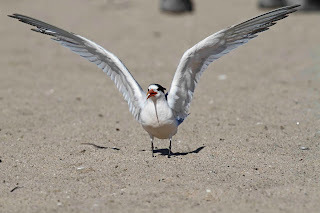 There were dozens of them resting on the beach. This one looks like he's about to start conducting the tern orchestra. And a one, and a two. 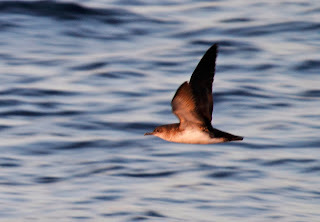 . .
Another bird that we saw from the boat was Black-vented Shearwater. Same deal as the gull - we saw one and ran around the boat deck to get a look at it and then saw about 200 more after that. 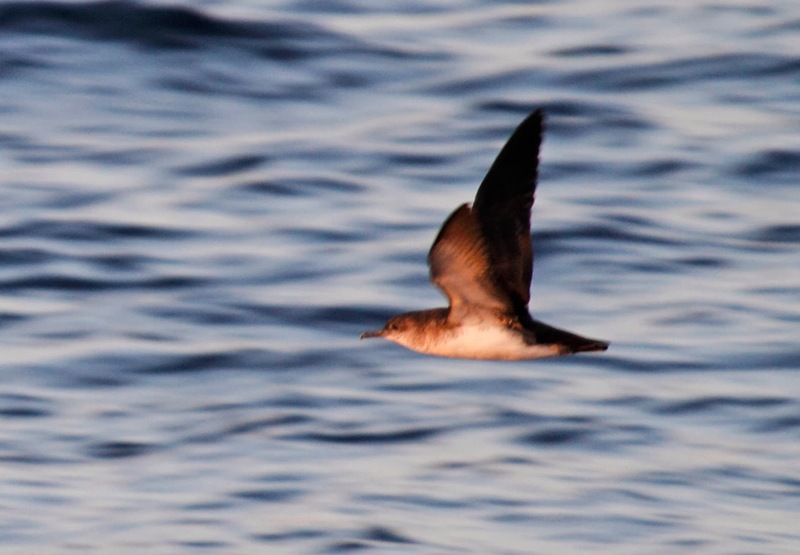 Unfortunately, these birds are difficult to photograph in evening light. This is the best that I could muster. 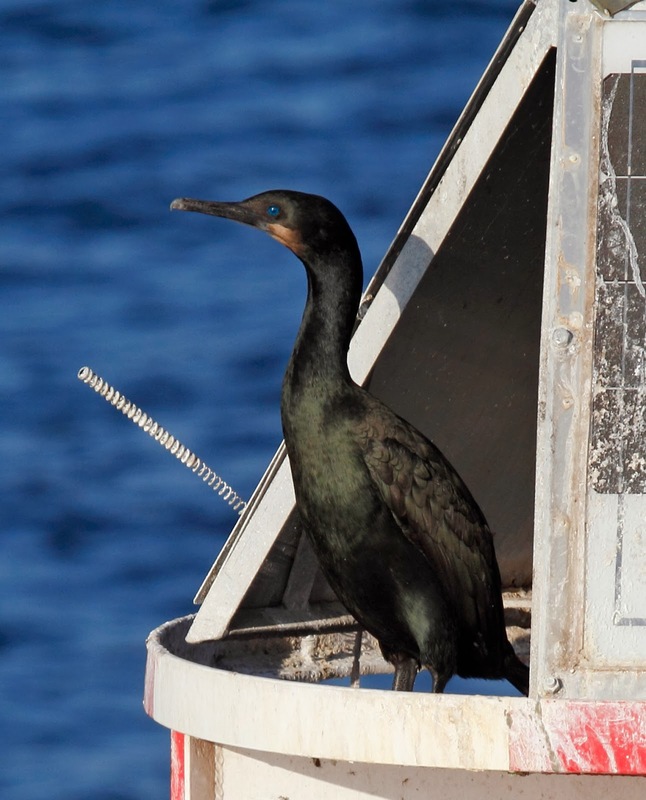 This Brandt's Cormorant was hanging out with the Masked Booby (who was perched just above). 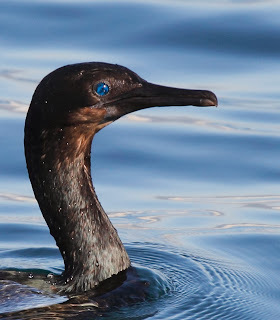 The best part about these birds are the stunning blue eyes. This is another bird that swam by us while we were on the jetty looking at the Blue-footed Boobies. Women pay money for contact lenses to get eyes like that. Speaking of the boat. 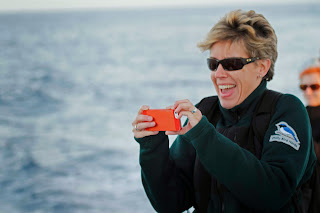 Here is a photo of Diane as she was video taping the hundreds of Dolphins that surrounded our boat. What a spectacle. This is the best photo I could get of one of the dolphins. I have one more post coming from the LA trip. Stay tuned.